Download Royal Corgis Emoji Stickers now and start sending awesome stickers to your friends via iMessage! Express yourself and your feelings with our stickers. There are many awesome corgis emojis for iMessage to send to your friends and make your chatting sessions more exciting. Have you ever think that the built-in stickers are too boring or limited? Are you looking for unique stickers for iMessage to share with your friends? With Royal Corgis Emoji Stickers, you can send unique and lovely stickers when you are chatting with somebody easily. Why do you need to download and install Royal Corgis Emoji Stickers for iMessage on your iPhone or iPad instead of other corgis emojis & emoticons apps? √ Awesome Royal Corgis Emojis! There are so many Corgis emojis in this app that you can use to convey your feelings. Don’t be limited by words. Show your feeling with these adorable stickers now. Simply download this sticker app, and send the emoticon that you want easily. We will update our app regularly to let you use new beautiful and awesome emojis and send them to your friends via iMessage. So, are you ready to make your chat session more colorful and adorable? Send these emojis now and see your friends squee in delight when they receive these stickers. What can be better than corgis emojis to do that? We designed this sticker app because users are always looking for various ways to express themselves and their feelings. We know what everybody wants: something adorable to cheer them up every day. The more the merrier! 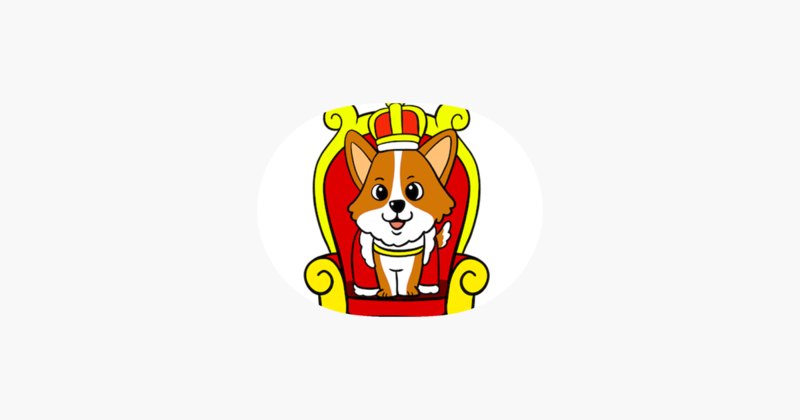 Download Royal Corgis Emoji Stickers for iMessage now and ask your friends to download it too! Then you can start having fun sending awesome emojis to each other while chatting and gossiping using iMessage app. We are always striving to provide the best user experience for our users. We are also looking for your feedback, suggestion or recommendation. Please, feel free to email us at any time at support@jobloobaapps.com so we can continue to bring you the best experiences and updates.